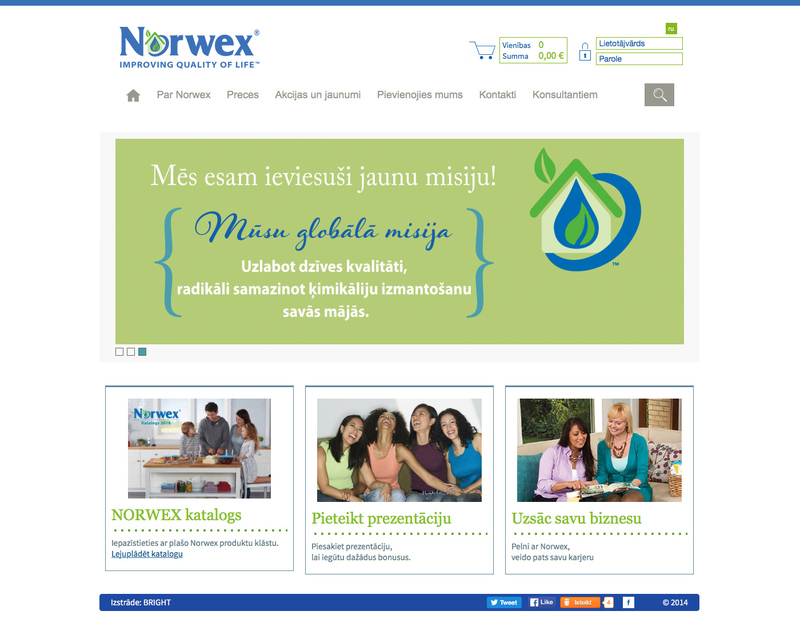 BRIGHT has created an ecommerce website for Norwex Baltic with online store function. The design and functions are designed to best serve the target audience – information is systematically arranged for easy access and features a user-friendly online shopping function. The online store has an in-built option to apply time limit to sales items as well as list the sales items in a specific section. The website also features a flip page catalogue, Q&A and ‘contact us’ sections.